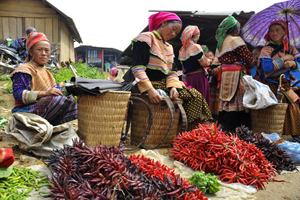 Meet your guide and driver at Lao Cai station upon your arrival, enjoy breakfast in a local restaurant before being transferred uphill the Hoang Lien Son mountain range. The smooth road winds its way higher and higher on the mountain slopes. After an hour driving with several stops for marvelous scenery you will arrive in the center of Ta Phin, a beautiful valley surrounded by pine tree plantations and terraced rice paddies which is home to the Black H’mong and Red Zao peoples. Leaving the car for about an hour walk around the valley and paying visit to local homes you will be welcomed by friendly peoples and witnessing their unique way of life. 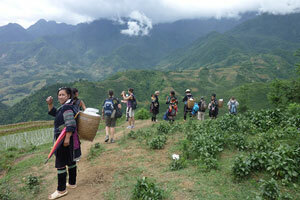 Continue driving to Sapa, check in your hotel and enjoy along break before Lunch. After Breakfast, Local guide and driver will pick you up at your hotel and then drive up hill to see the famous Silver Waterfall and then onto Tram Ton, the highest mountain pass in Vietnam at 1,800 m above sea level for enjoying the magnificence of Hoang Lien Son Mountain Range as well as over viewing spectacular landscapes of the whole area, stretching endlessly. 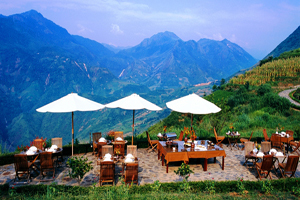 Drive back to Sapa and check out your hotel after Lunch. 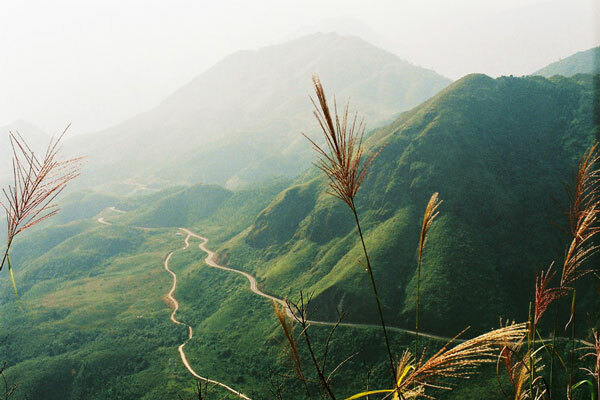 You will take a drive along the only road through the beautiful Muong Hoa Valley and enjoy several stops for enjoying breathtaking landscapes and paying visit to some small hamlets of the Black H’mong, Red Zao and Zay along the way. In middle afternoon, you will arrive at the Eco Lodge which is built in a perfect location on the two corn-shaped hills, deep in the pure nature of Sapa. Check in the Lodge and free time to relax. Today is set for your own activities at the Lodge. You may choose to just stay around the Lodge to enjoy pure environment, breathtaking scenery and quietness or taking some short cycle or walk to the villages nearby. 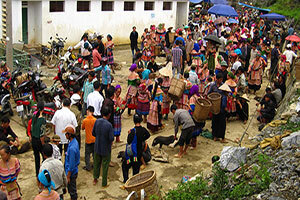 At about 16.00, your driver will come and pick you up for a transfer to Sapa and onto Lao Cai for taking the night train to Hanoi, which arrives early next morning and the trip ends.